John Hopkins has stormed to his first pole position of the season at the 8th round of the 2014 British Superbike Championship at Donington Park, continuing his great form shown throughout Free Practice to top the time sheets in the Datatag Extreme Qualifying ahead of Ryuichi Kiyonari by nearly four hundredths of a second. 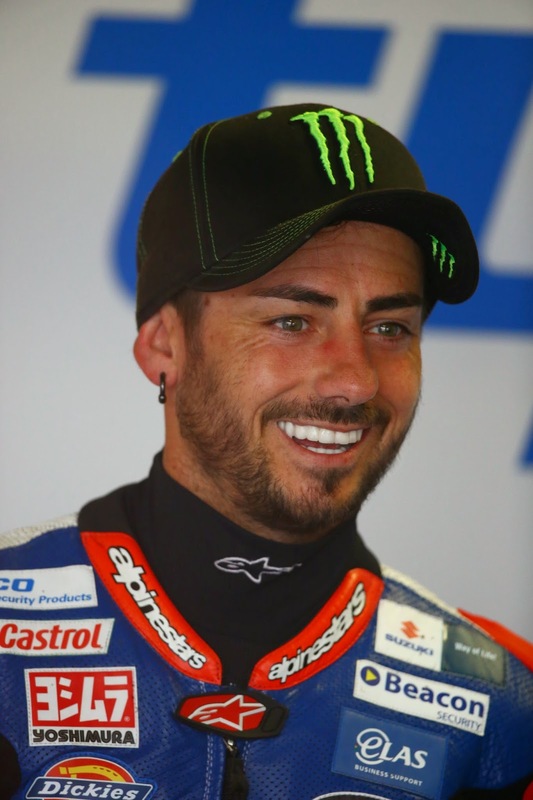 The American confirmed prior to the weekend that he was looking forward to riding round the Leicestershire circuit again, having celebrated a dominant double victory at the home of the 2015 British GP back when he was last riding in the British series in 2011. Hopper was straight on the pace from the get-go Friday morning, marginally losing out to Kiyonari at the end of the session before turning a screw in the afternoon to clinch top spot. Hopkins and his Tyco Suzuki team’s fortunes took a turn for the worst this morning in FP3 however, with the GSXR-1000 machine deciding not to play ball presumably after the thrashing it received around the near two and half mile circuit in the previous two sessions. The former GP star was forced to push the Tyco Suzuki back up to pit lane and failed to set a time. It was back to business in the Datatag Extreme Qualifying for Hopkins, finishing the initial Q1 session in third behind Kiyonari and Brookes, less than half a second off top spot. The gap to the front for Hopkins remained similar in Q2, placing him in 8th spot going into the final all-important Q3. Under overcast and threatening skies, Byrne and Kiyonari continued their intense battle in the War for Four and shared spoils at the top of the lap boards before Hopkins surged through to clinch pole at the two minute mark with a 1m 29.555s lap time. Last ditch efforts from Kiyonari and Byrne fell short of the mark with the pair completing the front row respectively. Riding on a wave of confidence, RAF Reserves Honda rider Peter Hickman will head the second row in tomorrow’s first race, followed by Stuart Easton and Josh Brookes. Fellow Aussie Josh Waters, Tommy Bridewell and Yorkshire duo James Westmoreland and Dan Linfoot rounded out the top 10. A full list of times can be found here.